For people outside Barak Valley, it is much easier to give their opinion on the controversial Citizenship Amendment Bill, whereas those who are living in the Barak Valley region or in the Bengali regions of Brahmaputra Valley, it’s tougher to the same extent to decide anything about the impact of Citizenship Amendment Bill because one decision can be false too. The bill has taken over the seven sisters and it is leading to wide anger from various communities. Many are supporting it to the last extent whereas even more number of people are protesting against it by even giving a decision that if the bill is passed then they would either go for self immolation or they would fight for an independent state. Recently, after Assam, CAB just took over whole Mizoram as many Mizos started protesting against the Bill since it would grant citizenship to many Chakma citizens who they claim as “illegal immigrants”. In Assam, the scenario is far more complex since it has established various angles because of different ideologies running in a nonsense manner without even thinking that what the bill suggests and what can be its impact. However, those who protest against it from a racist perspective are far worse than the human rights activist, because the former discriminates one community as an illegal community while the latter fights for every community. The complexity, however, cannot be seen because either some are blindly believing it because of communal love whereas another community (Assamese Community) protests for the growing impatience and intolerance against another community which is the minority community. 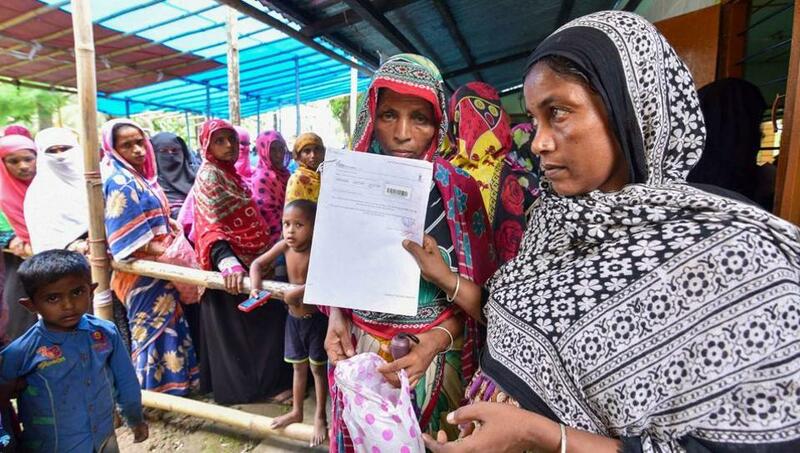 ● From the perspective of people who live in the region of Barak Valley, if the Citizenship Amendment Bill, is seen then it is clearly dividing the Bengali community into two on the basis of religion: Hindus and Muslims. Even after that, most of the Bengali community supports it because of the growing intolerance inside the Assamese community, which demands for the elimination of the Bengali citizens completely. Leaders of various political parties protest against the Bill in a very communal manner by saying that, “The Bengali community shouldn’t be allowed to live in the state and so the bill shouldn’t be allowed to pass. And if allowed, then they would demand for an Independent Assam since Assam belongs to Assamese citizens only”. The loud discriminatory and derogatory comments in an open field with thousands supporting the comments is quite enough for people of Barak Valley and Bengali regions of Brahmaputra Valley to support the bill making it a “good move”. It is like the Satan of a pessimistic story. Satan gets the support because the whole plot itself is negative and the only hope to live in the society is by letting Satan live which is supporting them. ● The Assamese community with their own political parties find Assam to be under threat since the state is being populated by the Bengali community and if spoken in a religious manner, then populated by Muslims, which the Assamese citizens find as a threat to the state and it would sustain if the bill is passed and hence, they protest against the Bill. It is quite devastating to see that the whole community, which had the history to be discriminatory over the Bengalis, today finds an even more derogatory path to eliminate the Bengali community over a political platform. The political leaders along with the extremists protest against it by breaking alliance (which is just a way to collect votes) and shooting bullets over the Bengalis of Brahmaputra Valley. For the people, who sit in an air conditioned cabin, it is quite easy to give their own opinion but the field scenario is far more devastating because the whole process of division is racist and communal. ● From the perspective of the Citizenship Amendment Bill itself, we can clearly see that the bill is a silent weapon of the ruling government to divide the Bengali community along with creating an agitation between the Assamese and Bengali. The bill clearly has little protection for the largest minority community of Assam, Bengali Muslims or Muslims as a whole. It plays the trick of divide and rule by dividing the Bengali community into Hindus and Muslims, thus reducing the strength and hence, making the fight even more brutal. It also agitates the Assamese community and hence, pushing the community to be more racist and communal. It is quite easy to say that the bill is just communal. But the reality is, “the bill is both communal and racist” and as we all know, a victim of racism would be with the helping hand he/she gets from the government without even seeing the pros and cons and that is far more deadly for peace and humanity. It is just like a virus with government as the engineer and the communities of the state as the victim. The government injects the virus to experiment on its interests and no one identifies the side effects because the mutation and pain is a pleasant thing to play politics on. ● If the bill is seen from the perspective of Human rights activists, then it would be sane for the citizens of this country. But it would be insane to ignore the perspective of the Bengali community, and just giving an opinion on the basis of the bill only. The activists protest against the Bill because it is communal in nature since it divides the Hindus and Muslims but at the same time, it is the duty of the activists to visit the Bengali regions of Assam and to identify the reasons that why the community supports the bill! The bill is a danger because it is communal and it is a big reason to stand against the Bill plus what is even more disastrous is the elimination of people in the form of refugees to live in camps. The people who were citizens of this country yesterday, today live in Refugee camps and that is what ruins the Constitution. The bills isn’t just communal to the Muslims but it is racist to the same extent towards the Bengali unity but it is also inhuman towards the thriving humanity of this country. of blind faith over a helping hand when the major community of the state passes communal and racist remarks before thousands without any strict judicial action against the minority community of Assam. because of religious support for the Hindus and a repulsive attitude towards the Muslims. because of the ongoing extremism by the Assamese extremists. The complexity which the bill introduced inside the population cannot be seen from one angle without being a part of the state or without speaking to the communities living in the state because the bill has multiple faults and both the support and protest is for the flaws of the bill which for the mass is unseen because the covering of racism and communalism is thicker to penetrate.